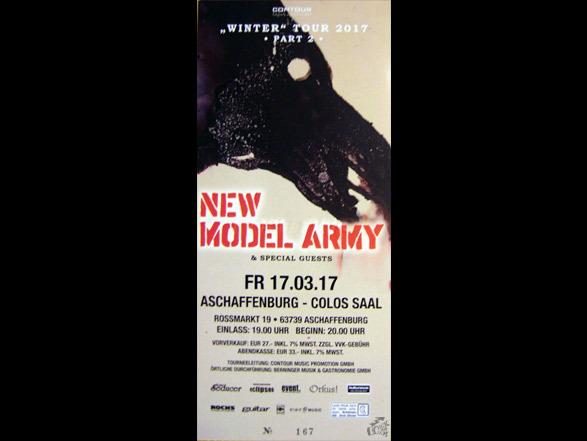 Da gibt es hier das Colos-Saal Poster mit New Model Army Termin darauf und ebenso die Konzertkarte zu diesem Event am 17 März 2017 auf der NMA Winter Tour Part 2. 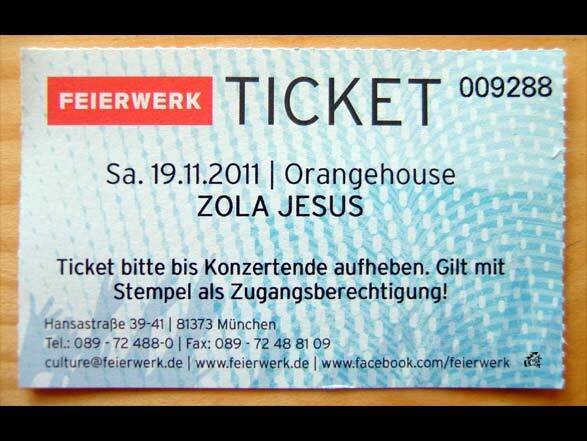 Und hier sind die Konzertfotos vom New Model Army Konzert aus Aschaffenburg. 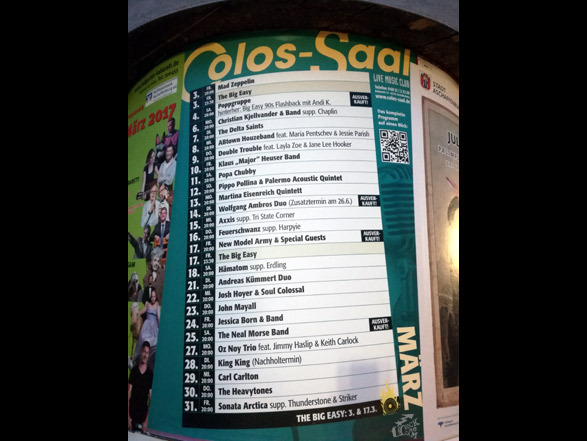 Perfect, you made it, cause here you can see the Colos Saal poster and the ticket to the NMA gig in Aschaffenburg. And by following this link, you are able to see the New Model Army concert pictures from this show. 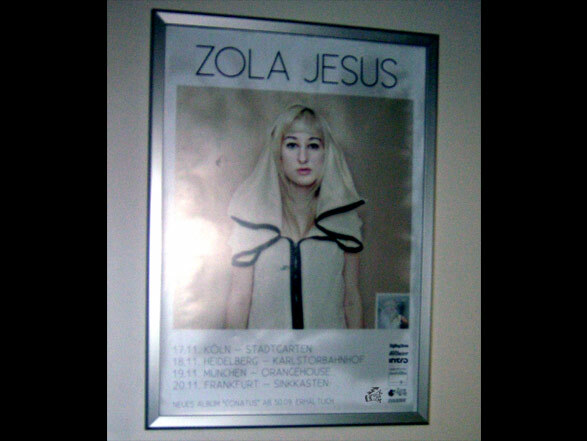 Die Konzertfotos sind hier für dich: God Is An Astronaut. 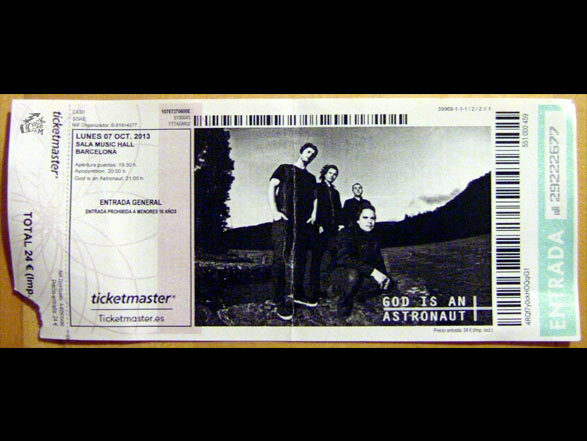 Doing it right, look here for the: gig photos of God Is An Astronaut. 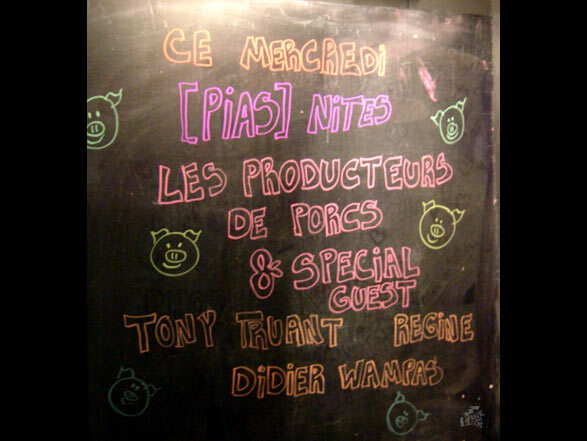 [PIAS] Nites im Fleche d’or in Paris mit Les Producteurs De Porcs. 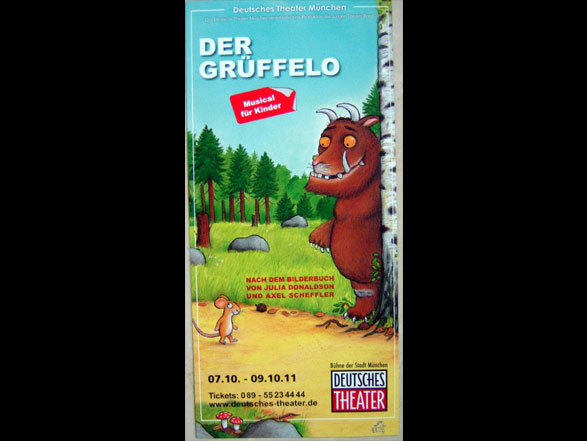 Bonjour mon ami – Les Producteurs De Porcs Konzertbilder warten auf Dich! 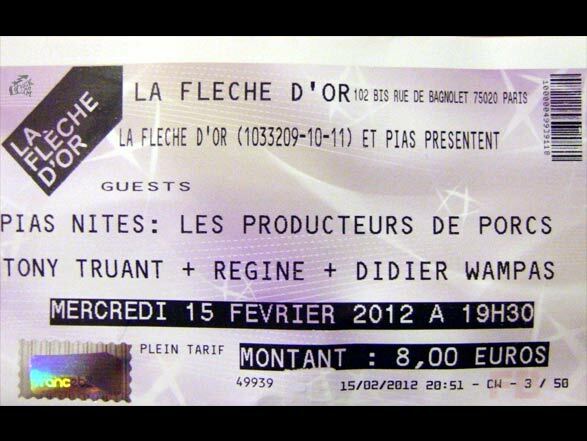 Hello, waiting for you, do the Les Producteurs De Porcs concert pictures. 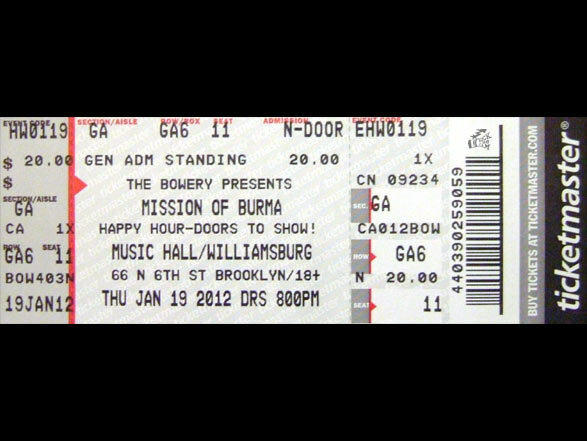 Foto vom Ticket zur Mission Of Burma Show in der Music Hall Of Williamsburg in Brooklyn / New York. 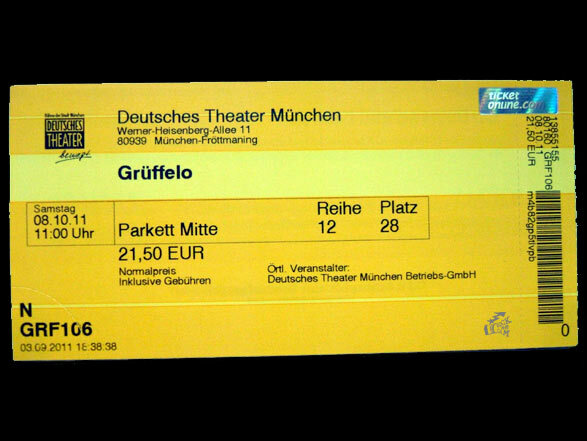 Und wenn Du die Livebilder dazu sehen willst, klick diesen Link und ab zu Mission Of Burma! 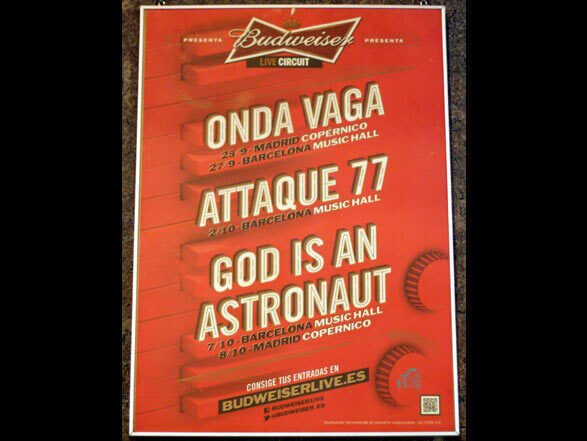 Come and see the Mission Of Burma live concert pictures! 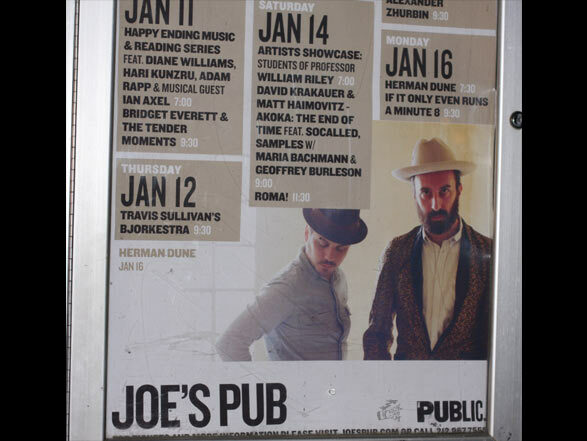 Hier ein Foto vom Joe’s Pub Aushang mit Herman Dune darauf und das Ticket zur New York Show am 16 ten Januar 2012. Und zum Herman Dune Konzertfotos schauen, klick einfach den Link. 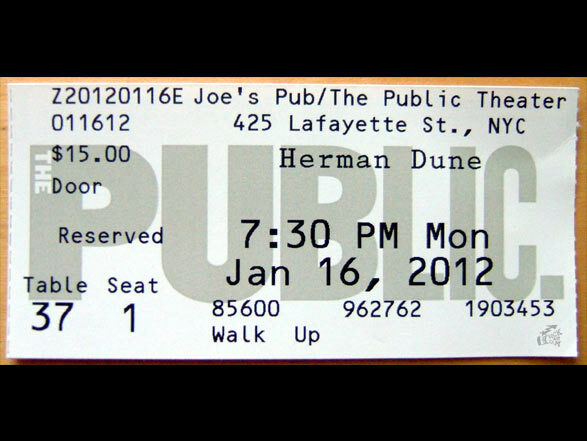 Click the red writing and jump onto the mindblowing trip while seeing the fantastic Herman Dune concert photos live from NYC.